As adults, it is our responsibility to protect our children from dangers that they are not capable of understanding. Children are naturally curious, which means that they often get their hands on items that can be toxic to them. Unfortunately, they are not able to understand the warning signs printed on bottles and may ingest such toxic chemicals resulting in serious poison injuries. As such, it is up to those placed in charge of children to ensure that all toxic items be locked safely away and out of the reach of children. 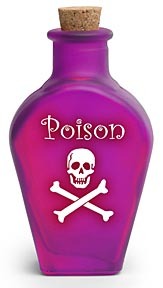 According to the Centers for Disease Control and Prevention, unintentional poisoning is the second leading cause of unintentional injury related wrongful death in the United States. Furthermore, more than half of poison exposures reported to poison control centers affect children five years of age or younger. The most common causes of child poisoning include personal care products, cleaning products, medicines, topical medication and plants. The U.S. Consumer Product Safety Commission reports that approximately 85,000 young children were treated in hospital emergency rooms because of unintentional poisonings in 2004. The same year, over 1.2 million unintentional poisonings involving children ages five years and younger were reported to US poison control centers. The Killino Firm is concerned with making sure our children are safe. That is why we filed a nationwide class action lawsuit against Mattel to force the toy maker to pay for the testing of children who were at risk of lead poisoning from its products. In 2007, Mattel recalled 1.5 million toys after it was discovered that they contained lead paint, which is toxic and can cause irreversible brain damage and other injuries in children. We represent the children of families across the United States. From CNN to ABC to Fox and around the world, we make the news because we are dedicated to assuring that our children feel safe and secure. That’s The Killino Firm Difference. When you need a lawyer who will exhaustively investigate a poisoning injury and make sure that every responsible party is held accountable, contact The Killino Firm, where Keeping America Safe is our primary goal. To speak to one of our attorneys, please fill out the form on this page, call us toll free at 877-875-2927, or send an email to a child injury lawyer today. We will respond promptly to your inquiry so that you can experience The Killino Firm Difference.